What would the world be like without humans? This is the astounding story of a world we will never see. A world without people, where city streets are still populated by cars, but without drivers. Nobody to fix bridges, repair buildings or maintain power plants. After being controlled by humanity for millennia, nature reclaims the earth. But how would that work? How long would skyscrapers, nuclear power plants, and our homes last if abandoned? How would wild and domestic animals fare without us? Will the Eiffel Tower outlast the Statue of Liberty? Aftermath: Population Zero gives us a chance to see the impact of human beings by seeing how Earth would adapt without us. It’s a concept that could be very interesting — a philosophical pause on an I Am Legend scenario that shows us how humans really are the pinnacle of creation. It could be interesting, except for the one thing “Aftermath” forgets: humans are a part of nature. Following a textbook environmentalist script, the show postulates how our nuclear power plants, suddenly unmanned, will explode and cause mass devastation upon the world — we apparently can’t stop tearing stuff up even after we’ve left the building. I’m now back from travels to the hinterlands of Tennessee, where I saw — among other things — Indiana Jones and the Kingdom of the Crystal Skull. As someone who has long considered Raiders and Last Crusade two of my favorite movies, I’ve looked forward to the next Indy sequel ever since the rumors started flying back in the mid-90s. Even so, I had low expectations. Overhyped sequels rarely do well. How else does one explain Spiderman 3, a film that competes even with Twister on my all-time worst film list? Thankfully, Indy 4 avoids such pitfalls. Is it a great film? No. Among the other films of the franchise, it probably ranks 3 out 4. What it is is entertaining, far fetched, and loads of fun. Any attempt to read anything else into the movie is taking higher criticism too far. If you’re a fan, go see it. If you’re not, don’t even try to comprehend. The opening montage of Ben Stein’s new documentary, Expelled: No Intellegence Allowed (opening in theaters today), contains an orchestral violin rendition of Pink Floyd’s “Another Brick in the Wall Part 2.” An instrumental piece, the words are not there, but it sets the stage well for an entertaining and engaging look at how “free inquiry” can be anything but in today’s scientific community. The film’s focus how intelligent design theory (ID) is being excluded from scientific discussions of the origins of life. I watched a screening and presentation by Ben Stein and the producers about a month ago at the National Religious Broadcasters convention, and was duly impressed. To be honest, I had low expectations — thinking that the savvy marketing of the film would outweigh the documentary’s content. I was wrong. Expelled is intelligently designed, allowing proponents of both sides to speak for themselves. Renowned atheist Richard Dawkins, of The God Delusion fame, makes an appearance that’s almost painful to watch. In his interview with Stein, Dawkins more or less admits that a sort intelligent design is possible — but it must be from space aliens, rather than a loving Creator. And no, I’m not making this up. Dawkins has reportedly charged the producers with deceiving him at the interview, but the charge seems to be nothing more than sour grapes. I attended a press conference for bloggers Tuesday at the Heritage Foundation where Stein was asked about this. Stein noted that Dawkins was actually paid for the interview in question — not to mention the fact that it’s him, unscripted, speaking on camera. If you’re a Darwinist, I wouldn’t expect this film to cause you to renounce Darwinian evolution. It’s not so much an argument for ID as it is a case that the suppression of ideas by dogmatic Darwinists is based on something other than science. What the film will hopefully do — if Darwinists can contain their anger — is put the issue back on the table. These days, questioning Darwinism is verboten. This likely has much to do with the fact that to Darwinists, Darwinian naturalism is neutral. How can one question neutrality? After viewing Expelled, will Darwinists repent en masse and allow ID’ers into their fraternal brotherhood? Doubtful, but perhaps the film will make it a little more difficult to expel their colleagues. The Assassination of Jesse James by the Coward Robert Ford is the best western film of the 21st century, but there’s a catch. It’s three hours long. But, if you do like I did and take three days to view the DVD, you’ll see its worth without giving up the better part of a day. The cinematography is stunning (the use of the blurred-edge old-style glass of the period as “lens” for the story is brilliant), but the story is even better. It’s a story of hubris, betrayal, and glory — and how a man obtains glory affects the way he enjoys it. Though he’s billed second, Casey Affleck steals the show. He is by far a better actor than his overtheatric brother Ben. He expertly plays the star-struck Robert Ford, whose youthful exuberance is matched only by his ominous sense of inadequacy. Only slightly outdone by Affleck, Brad Pitt does a remarkable job with Jesse James. 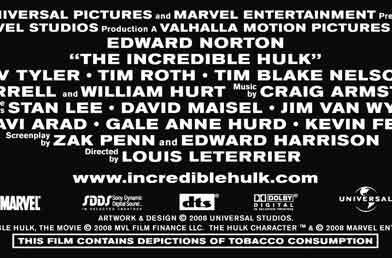 Pitt, like his character, fades into the background for the first half of the film. He then comes alive with a muted, knowing paranoia. 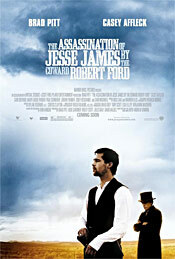 Jesse James knows what’s coming, but nevertheless keeps company with Robert Ford. The thematic elements that pair an outlaw with the instrument of his doom are irresistible, and biblical motifs abound. Robert Ford is Judas to his flawed savior Jesse James, who is a wolf led to slaughter.